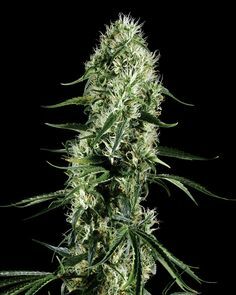 Afghan Kush Special builds upon the undoubted success of World of Seeds’ Afghan Kush feminised strain by using pollen from some outstanding male examples and fertilising exceptional females that were produced from a rigorous process of selection. The result is an even better version of an already tremendously powerful, therapeutically valuable cannabis strain. Afghan Kush Special is a compact and robust plant that shows incredible resistance to both pests, mould and drought. It can be grown to maturity indoors as well as outdoors. Indoor flowering takes between 55 – 60 days with yields being around 400 – 450 gr/m2. Outdoor-grown plants can produce between 400 – 550 gr. each. This special version is even more resinous than the original. Super Silver Haze CBD is a sativa dominant marijuana strain created by crossing Super Silver Haze with a selected high CBD parent strain. Although on average the proportion of THC:CBD is around 1:1 occasionally a phenotype will produce even higher concentrations of CBD. 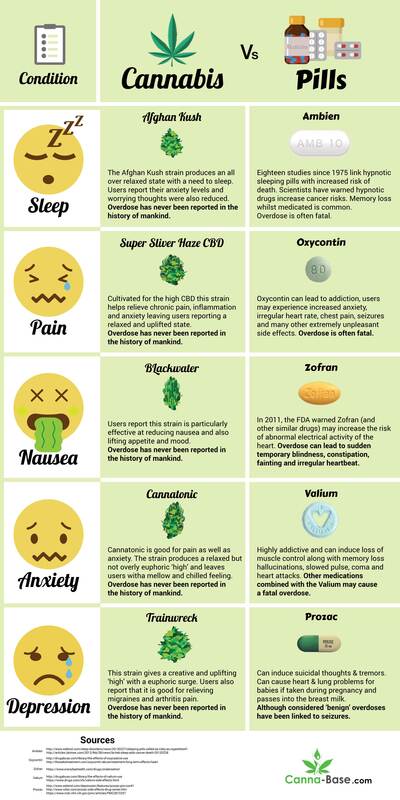 With a far less powerful effect from THC these CBD-rich strains are ideal for medicinal usage for treating ailments such as pain, anxiety and inflammation. It is a great strain to make medicinal cannabis extracts with having a mild and uplifting effect on users. Indoors Super Silver Haze CBD’s long branches makes this an ideal candidate for both SCROG (screen of green) and LST (low stress training) techniques; the latter exploits the long branches by training them along a lateral trellis system in order that each bud site can develop into a sizeable cola as they all grow upright. It can produce a yield of 500 gr/m2 in 10 or 11 weeks of flowering. A few tastes of Blackwater will send you drifting into a calm euphoria and deep body relaxation. The cerebral, cognitive effects may be most apparent toward the beginning of the Blackwater high. As the experience continues, sedative and sleepy effects take hold. Many medical cannabis patients try this strain for mental health ailments like anxiety and depression. Those with chronic pain and migraines may also benefit from the physically numbing effects Blackwater provides. This strain also has a reputation for inducing the munchies, making it great for those who struggle to maintain appetite. It has a THC:CBD ratio of approximately 1:1 with the levels being in the region of 6 – 7% of each of these cannabinoids. 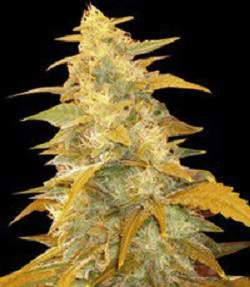 Cannatonic is a suitable strain to grow indoors, outdoors or in a greenhouse environment. It’s a good yielder; growers will harvest in the region of 500 gr/m2 indoors or between 250 – 400 gr/plant outdoors. The flowering period is 9 – 10 weeks with outdoor plants in northern latitudes being ready during October. Trainwreck was bred through the crossing of Thai and Mexican sativas with an Afghani indica. It can stretch quite a bit indoors and so some training method is recommended; ScroG fits the bill perfectly. Yields of 350 – 525 gr/m2 will be harvested in a flowering time of just under 9 weeks. Outdoors or, in cooler areas, in a greenhouse plants can grow up to 3 meters tall yielding between one and two kilos of dried bud per plant. Harvest time will be during the first half of October in northern latitudes.